In the last 10 years, we’ve seen some of the worst flooding in American history. In 2005 New Orleans was drenched by Katrina, then in 2012 Hurricane Sandy filled up New York City’s famous subway system. 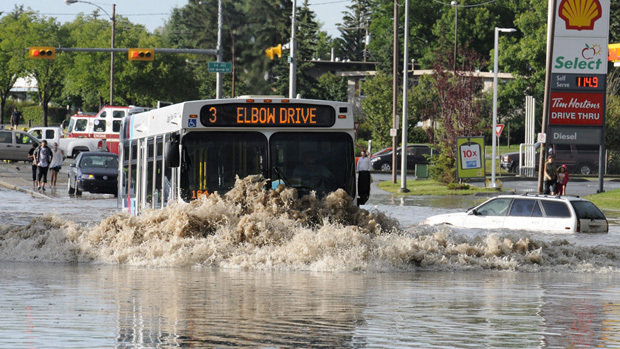 Today, June 23 2013, floods are washing away great portions of Calgary – even though the city itself is nowhere near the ocean. So almost no matter where you live, floods from an increasingly bipolar climate can affect you. 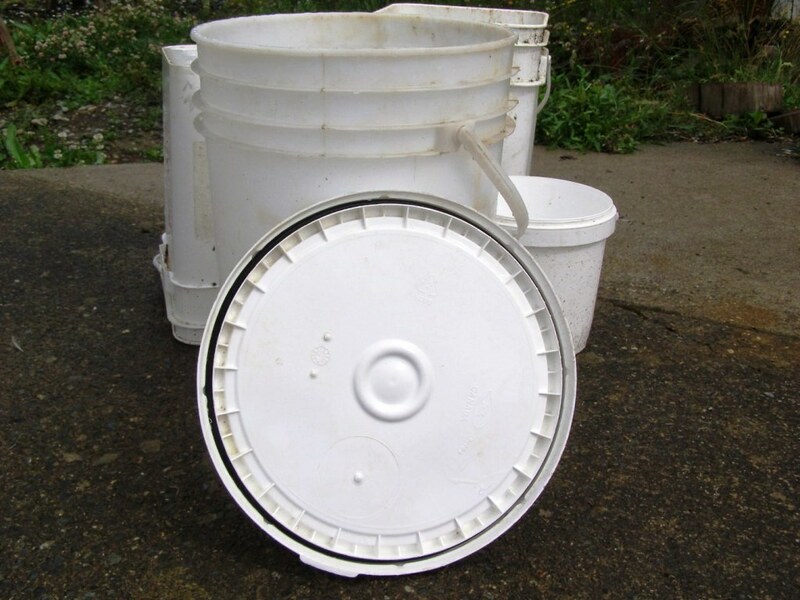 I’d like to propose an uncommon strategy for dealing with flood waters – keeping sealable 5 gallon buckets around to hide your possessions from water inundation. 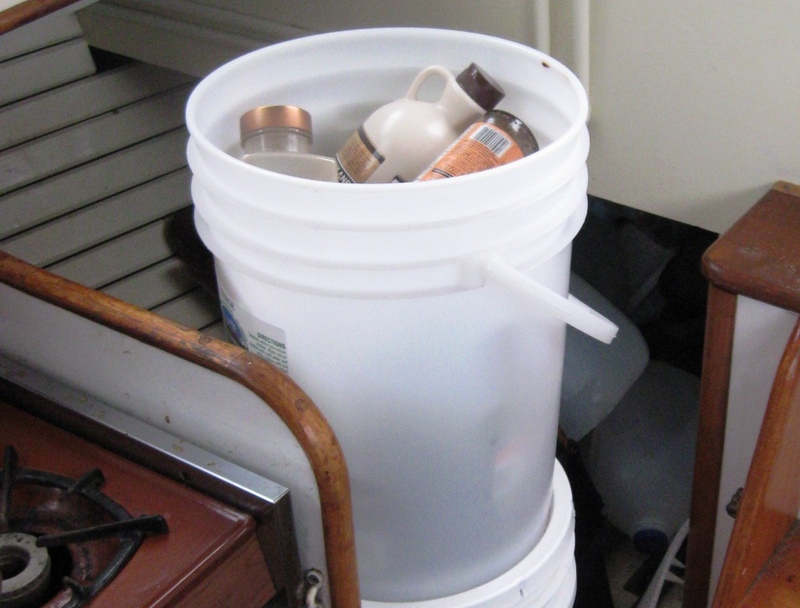 A well sealed 5 gallon bucket is like the affordable equivalent of an airplane black box. They seal powerfully and are impervious to both physical shock and water. Having 5 gallon buckets around might be just as important as sandbags for flood mitigation in a disaster scenario. When I lived on a boat, I kept a good number of possessions in sealable 5 gallon buckets. Risk of a “flood” in the cabin of a sailboat is very high, so it pays to have everything stored safely in their own individual life rafts. I used one of my sealing buckets for fresh vegetables. In another bucket I kept about 100$ worth of high-value spices that would be completely ruined by salt water. I live in an apartment now – and still tend to keep many of my possessions in 5 gallon buckets. To protect your possessions in the event of a flood you don’t need to do that. You just need to make sure you have enough excess buckets around to hold your valuables. Often in a flooding situation you will have enough warning time to quickly store and seal away items you want to protect. These are just a few items that can be quickly stowed away in 5 gallon buckets if you’re expecting large quantities of water invading from either above or below. Electronics like laptops, cameras, smart phones. So instead of scrambling to take all these valuables to higher ground, you can just stuff everything in 5 gallon buckets and leave them in your home. Your valued possessions should be safe in their 5 gallon vaults, and should still remain dry no matter how many inches of water pour into your home. Of course buckets are no replacement for flood insurance You may be able to protect your smartphones and tea towels in this way, but you’ll still need to think about insurance to replace your drywall, big screen TVs and sofas. It’s important to get your lid right if you want to keep out water – make sure you’re using snap lids with rubber rings, which fasten very tightly and remain watertight as long as their rubber seals are in place. Snap lids seal on so tightly that you might need a special bucket wrench to remove them. So I’d encourage anyone at risk of flooding in their area to keep a healthy supply of 5 gallon buckets and rubber seal snap lids as a way to protect valuables from water damage. It’s some of the cheapest flood insurance you’ll ever buy. And of course you’ll still be able to use those amazing 5 gallon buckets for everything else on this website! That’s a great idea Eileen – thanks for mentioning it. Tie them off with a rope long enough to allow them to float but short enough to keep them in the house. Gamma seal Lids are water/air tight and you can just screw the top off. We use them for food storage and other things. Wondering where to get the sealable lid? Try to buy the bucket with the lid so you know they fit. Otherwise the Gamma Seal lids are somewhat universal.